Lightweight and water resistant ultra-soft microfiber upper. EVA shock absorbent mid-sole pillow provides excellent comfort. 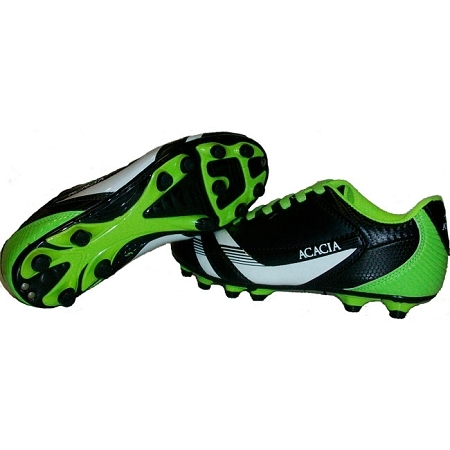 Angled mid-foot and heel studs enhances player’s acceleration and braking capabilities. Pressure centered heel provides stability by centering weight distribution. TPU compression molded outsole with mid-foot support harness and replaceable TPU and metal cleats.